Do not hesitate to contact us with any questions regarding our services, or if you want to discuss your project and discover how we can ensure its success! Discover this superb outdoor terrace construction project in a Rosemont house. You too can benefit from our expertise as a general contractor in residential construction and our turnkey construction service. Call us for a free consultation! Our expertise is not limited to interior residential renovation. 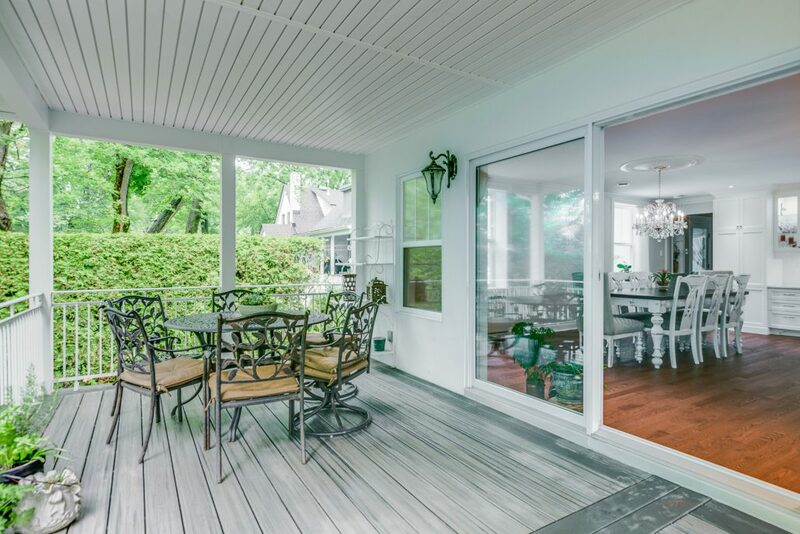 We were proud to build an outdoor terrace with a roof for our client in Rosemont. This customer wanted to be able to enjoy the outdoors, sheltered from the weather and wind with a simple terrace, with a view of the backyard, and a space for the barbecue. During the conceptualization phase of the project, we opted for a raised terrace anchored to the house. We therefore excavated to add concrete pillars to provide a solid base for the new terrace. We opted for a treated wooden floor that is easy to maintain and resistant to rain, wind and heat, as well as a wooden lattice for the lower part of the terrace. We had to erect a wooden structure in order to build a roof over the terrace, as requested by the client. Our team opted for asphalt shingle siding for the roof of the outdoor terrace. Then, we installed aluminum railings and treated wood custom furniture to serve as a flower pot and counter. Our electrician has shown ingenuity and added a ceiling light and two outdoor lights so that our customer can get the most out of his new terrace. 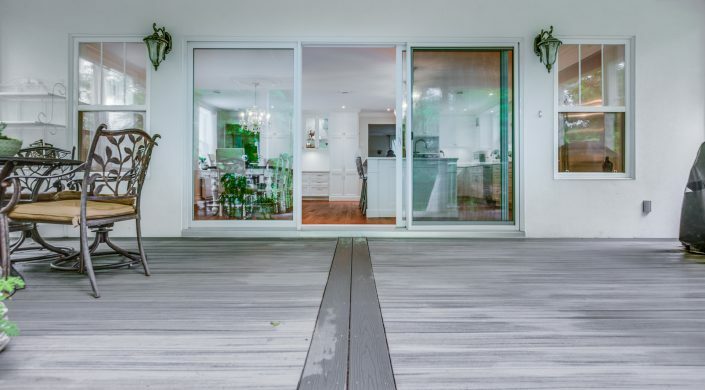 If you would like to know more about this construction project of an outdoor terrace on a Rosemont house, about our turnkey residential construction services, about our prices, or about our services, we invite you to contact us by email or by phone. Your first consultation is free of charge! Our team will be happy to welcome you and answer your questions. Construction Précellence is a residential renovation company that specializes in turnkey projects. 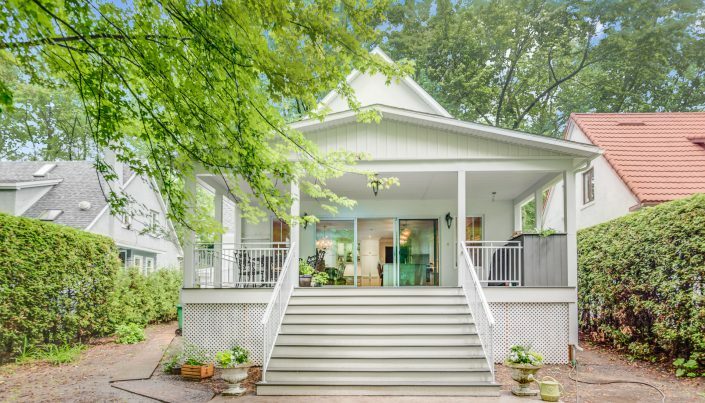 It has stood out since 1948 with a unique approach that combines all aspects of renovation (Architecture - Design - Construction) in the same service. © 2019 Construction Precellence. Sitemap.